So exciting! Congrats on graduating soon!! 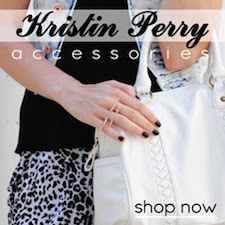 =) Your leopard fur coat is so fun! 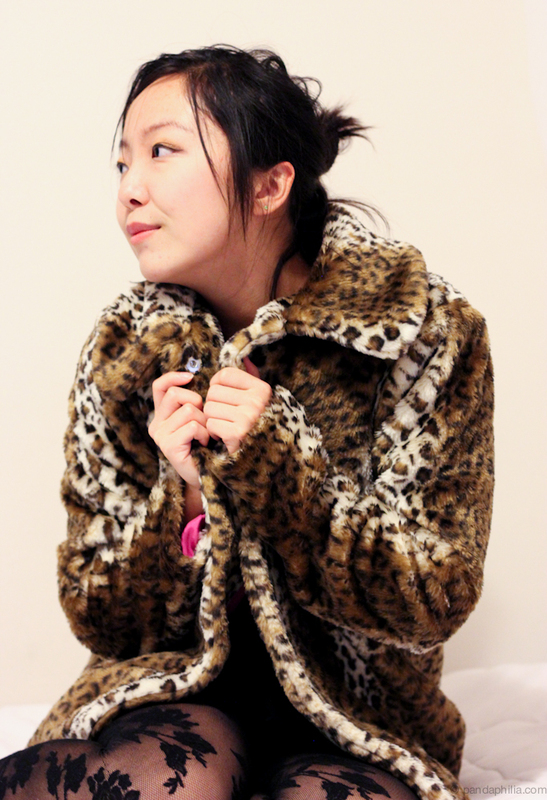 "Here are some old pictures featuring my faux fur leopard coat from Forever 21 ($10 on sale)." What? $10 on sale? That must have been a good bargain. Yes, I definitely do, and I think the assumption that faux fur = real fur also okay is really wrong! You might just admire the patterns of animal clothing, and like being warm. Synthetic fur can be just as warm as real so there's really no need for real fur, anyway. What a fun, fuzzy coat! 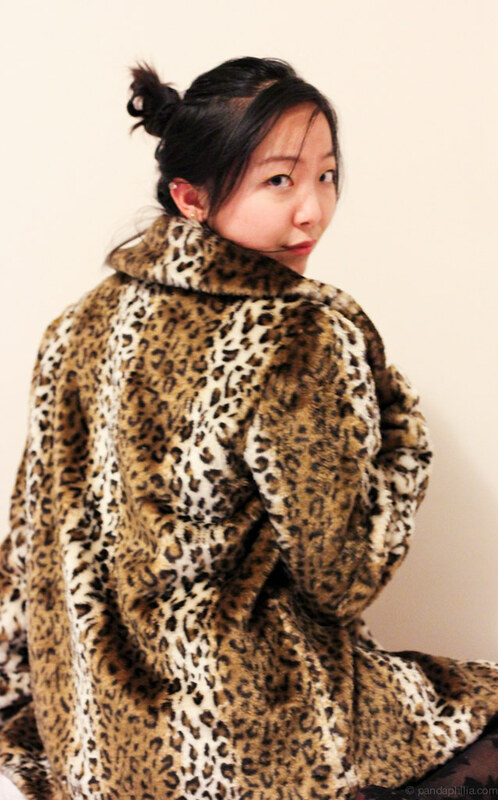 Oh man, when winter rolls around again, I am so snatching up a faux fur leopard jacket. It just looks so luxe and amazing! Woo hoo graduation! Congrats, ya made it! Faux fur, sure! And for $10, amazing. hey angie, long time huh? thanks for the awesome blog comment the other day, you're so sweet! and yeah, my style has been transitioning as i get more inspiration and more confidence in myself, glad you like it! btw that coat is awesome! thank you so much for visiting my blog! i quite like yours. still so bummed we don't have a F21 over here!! that is such an awesome bargain to snag at only $10. It looks sooo warm and comfy! haha I think it would be great for a night out with a cute dress inside! :) and yes definitely ok to wear faux fur....it's faux!